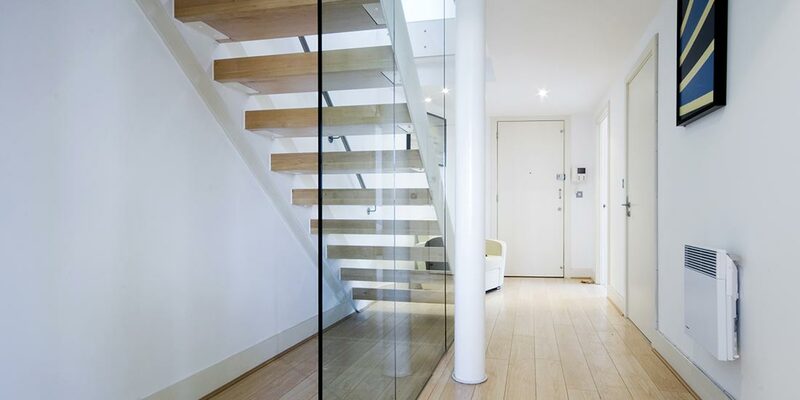 O’Brien® Glass has an extensive range of glass panels and fittings which can be customised to match your interior or exterior designs. They’re perfect for balconies, mezzanines, and stairways, letting natural light into your home or business. 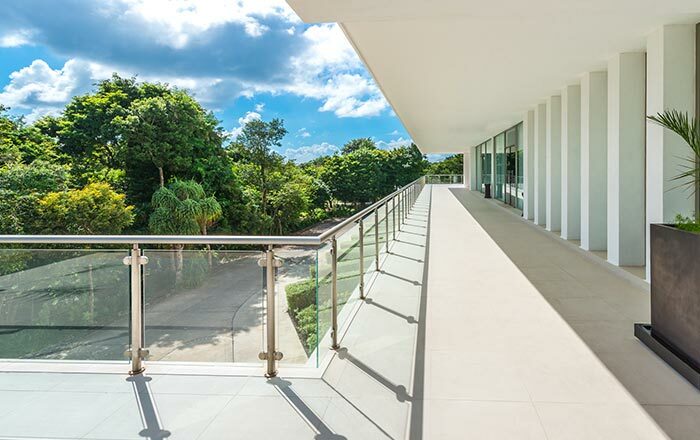 Glass Balustrades provide a strong, safe and secure environment creating a balustrade that doesn’t compromise on style. 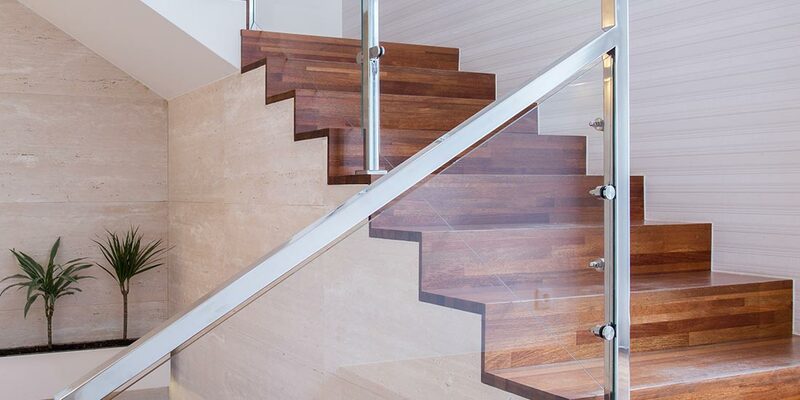 Choose from a range of designs and materials to match the décor in your home or business, including frameless and semi-frameless with handrails. 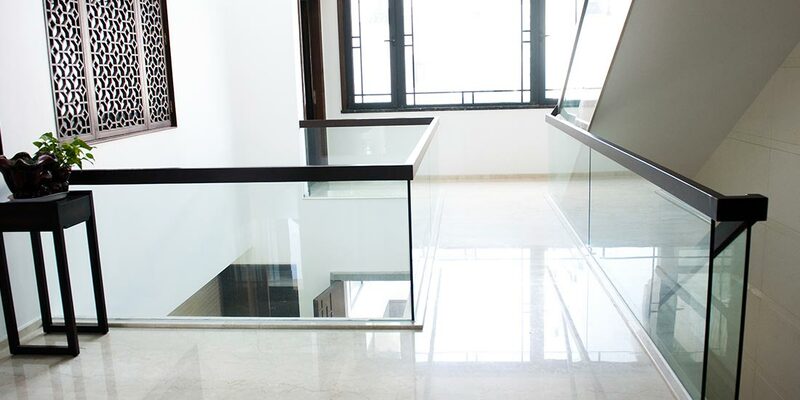 If you’ve already chosen your glass balustrade our expert glaziers will be happy to install it for you and we can also replace or modify your existing balustrade. Our specialist team can help you create a custom design to suit your individual needs. You can use our tinting and film service or choose our decorative glass to create something truly unique. 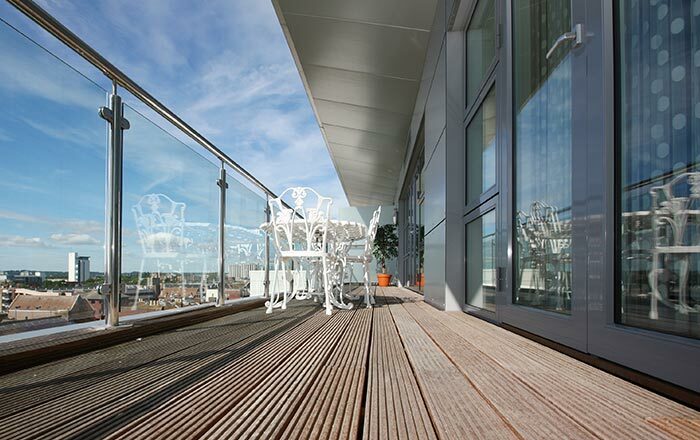 Use frosted glass to add a little privacy to your balustrade or balcony fencing.